There’s only one way to get your popup camper’s roof cranked up or down and the socket for the lift system is often quite proprietary. 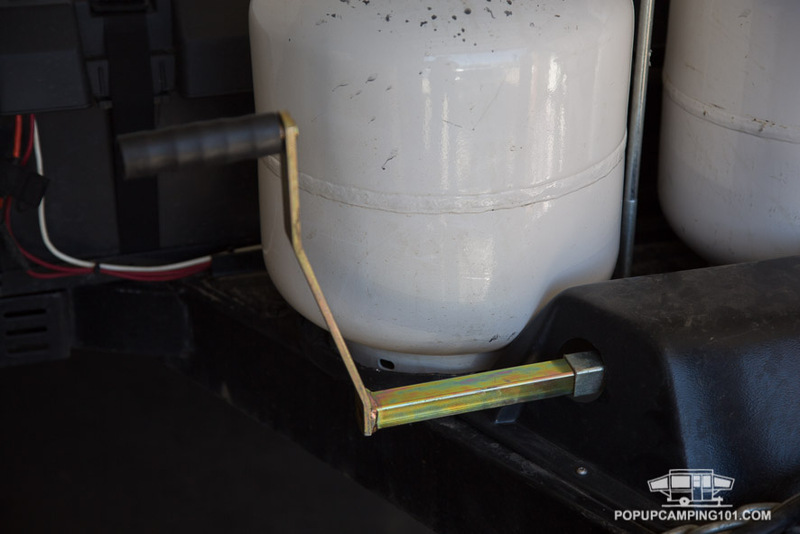 For this reason, I always carry an extra crank handle in case the original was left on the camper and then rattled off during transit, or simply got left behind either at home or the campsite. Seems like we can always use more water when camping out in the backcountry. And so I crafted a simple metal mount strap for carrying a 7-gallon Aquatainer on the trailer tongue. My long running search for the perfect bike rack ended last month when I received exactly that from 1 UP USA. American made by a small company in Wisconsin. All-aluminum construction with none of the easily breakable plastic parts used by most manufacturers. This review is specific to the roof tray version, but I’ll touch upon the hitch-mount product that I later ordered. 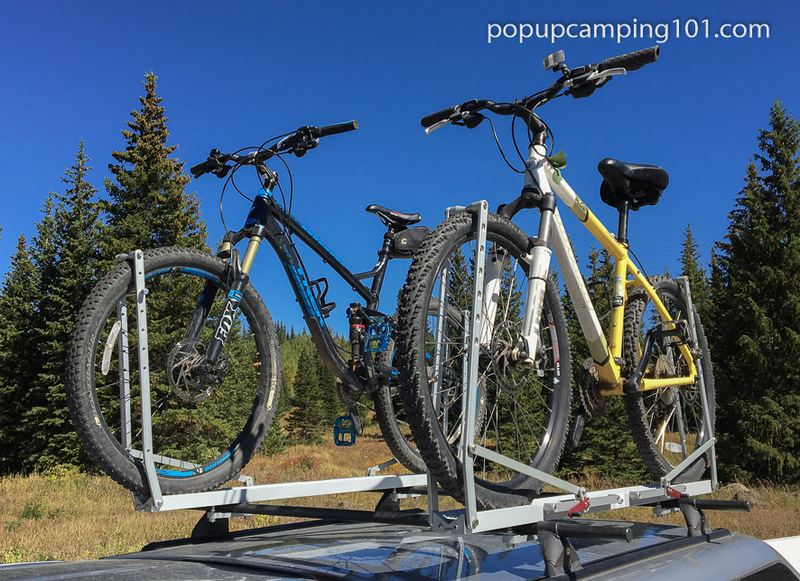 Hitching a popup camper behind your vehicle can sometimes force bikes and other gear to your tow vehicle’s roof rack. 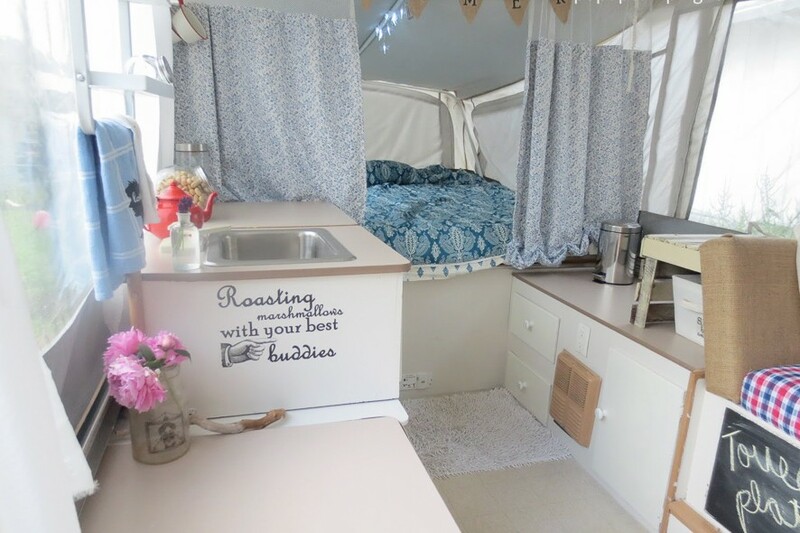 Or, perhaps you have a rack for kayaks and other items on top of your popup camper’s roof. 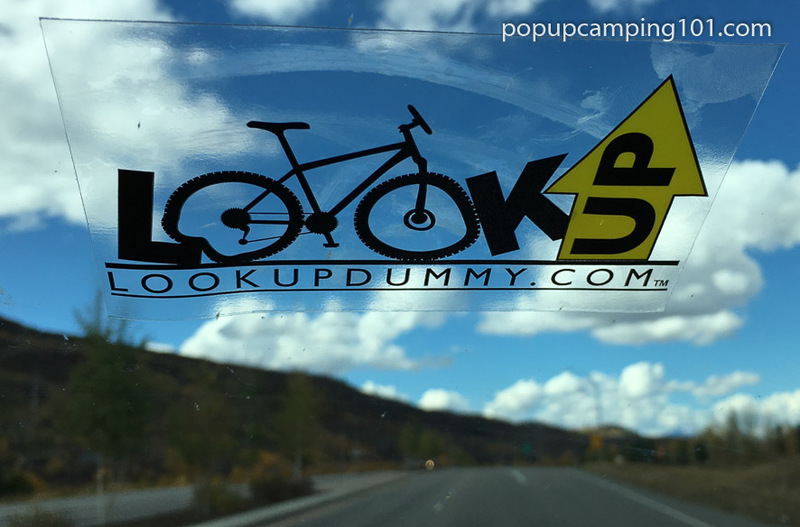 In these situations, we put these “Look Up Dummy” static cling stickers on the windshield as an effective reminder before backing into the garage or driving under an overhang! 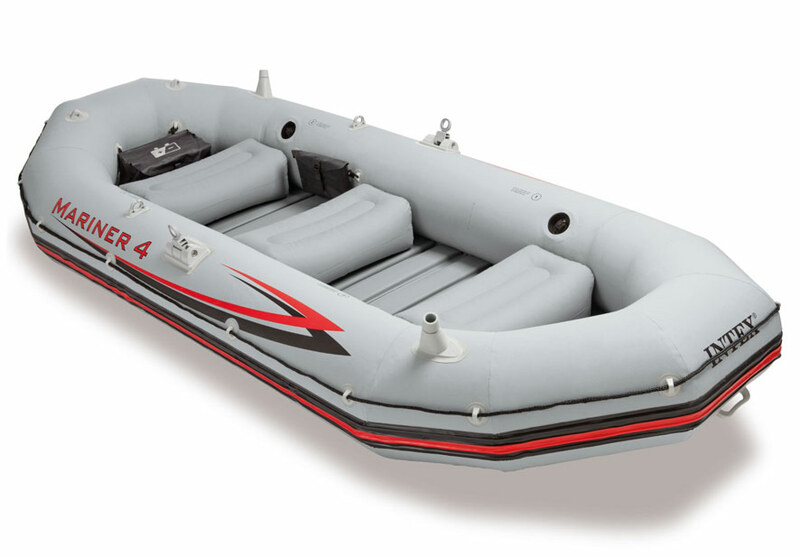 We just purchased an Intex Mariner 4 inflatable boat, and their marketing tagline is correct: this thing is as “good as it gets!” Super tough PVC, fishing rod holders, 3 seat cushions, and even a motor mount and spot to put the marine battery! I’m posting this in both the mods/upgrades and trip reports section to discuss why you too should buy this boat and how we’ve enjoyed using it on trips. 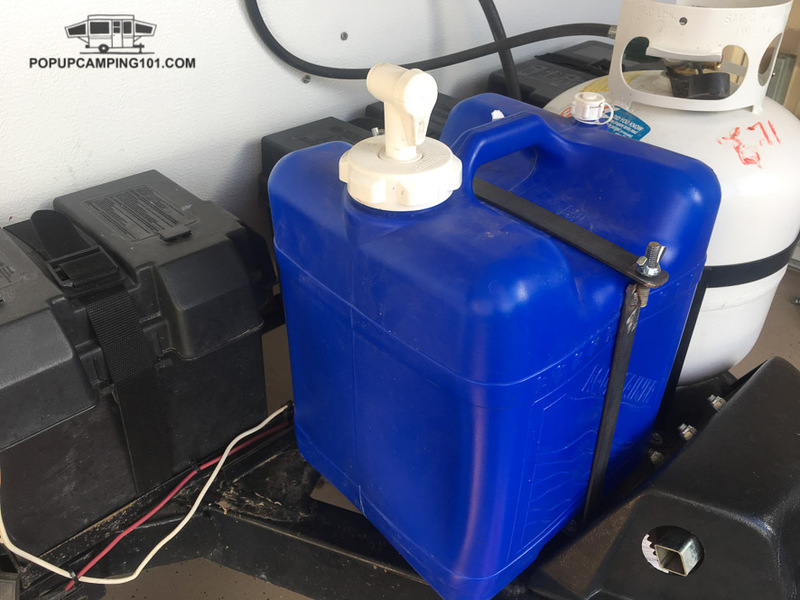 We rarely travel with a fresh water hose, always boondocking (rather than a full hookup site), and almost always filling up with water at home. However, after forgetting the hose on a trip last year where it was needed to refill, I started looking for a storage location. 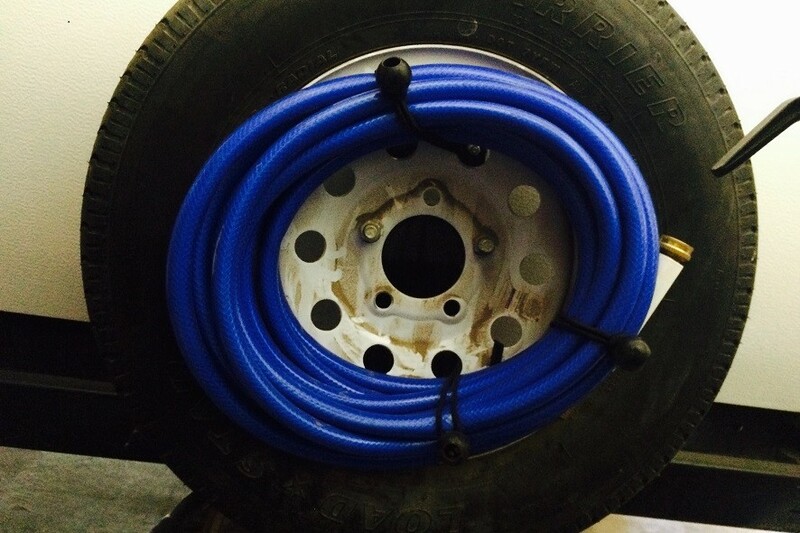 Today, I had an epiphany – the spare tire! 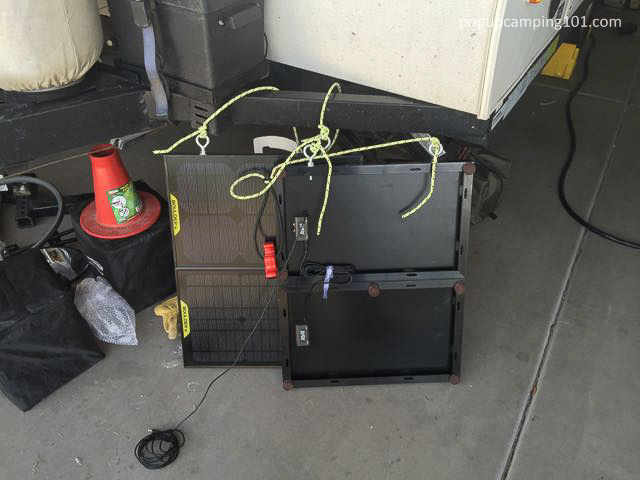 So you want to go solar on your camper but don’t want to drill holes in the camper to secure the panels, or perhaps you only need them a few times a year. 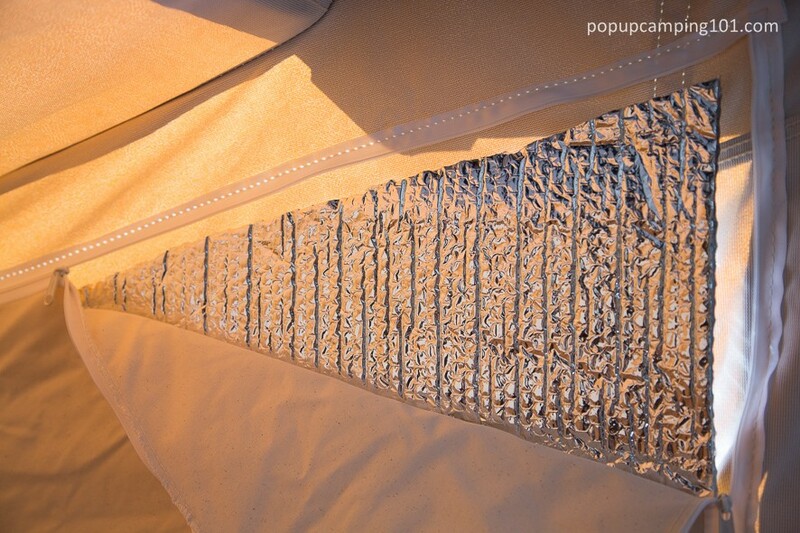 This post describes a portable setup installed by contributor Bill Kelty. 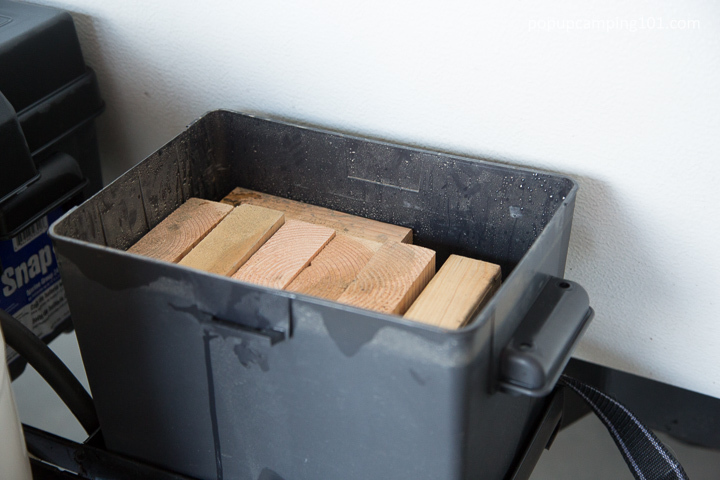 One way to add an exterior tool box to your camper is by simply mounting an extra battery box. The solution is cheap, easy to install, and conveniently accessible.